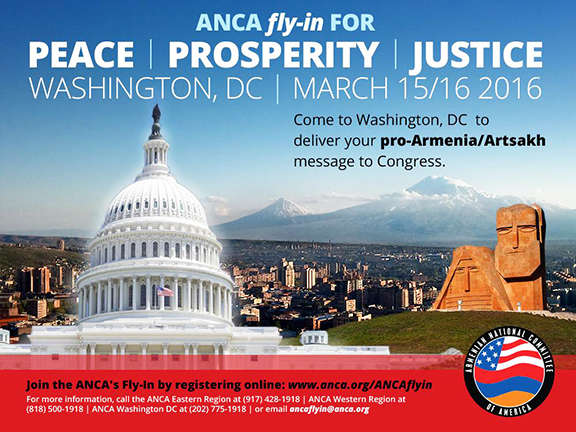 WASHINGTON – Friends of Armenia will travel to Washington, DC from across America on March 15 for a two-day Capitol Hill advocacy campaign promoting peace, prosperity, and justice for the Armenian nation, organized by the Armenian National Committee of America (ANCA). Friends and supporters of Armenia and Artsakh are invited to register on the ANCA website at anca.org/ANCAflyin and work with ANCA Regional and Washington, D.C. staff to coordinate meetings with Senate and House offices to share core ANCA public policy priorities. 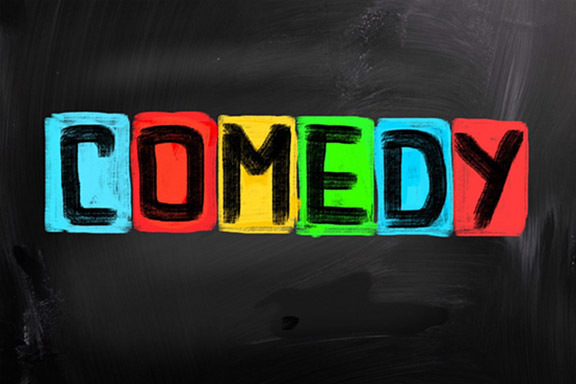 Registration is free; participants are responsible for their travel and lodging. The ANCA will host a reception in the Aramian Conference Room of its Washington, DC office on the evening of Tuesday, March 15th. 3. the deployment of gunfire locator systems. The U.S. government, the OSCE and both Armenia and Artsakh have endorsed these proposals. 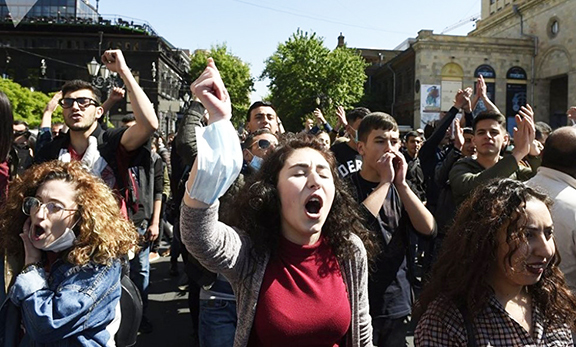 Only Azerbaijan ‘s objections are preventing their implementation. Prosperity: Member of Congress will be encouraged to help remove a major barrier to U.S.-Armenia business ties – the double taxation of U.S./Armenia profits – through the negotiation of a long overdue bilateral Tax Treaty. This accord, building upon last year’s landmark U.S.-Armenia Trade and Investment Framework Agreement, would help create jobs, foster hope, and generate economic opportunity in both countries. Legislators will also be asked to support continued U.S. assistance to Nagorno Karabakh, for de-mining of civilian areas and the urgently needed expansion of a regional rehabilitation center providing health care services to disabled children and adults from throughout the Caucasus area and beyond. Justice: U.S. Senators and Representatives will be asked to support the adoption of S.Res.140 and H.Res.154, the Armenian Genocide Truth + Justice Resolution. H.Res.154, a reparations-oriented measure, goes beyond recognition, actively seeking to engage the full force of United States diplomacy in ending Turkey’s denial of both truth and justice for this still-unpunished crime against humanity.